These 54 sermons were preached during the last period of Calvin’s life (1554-1555). They are the mature fruit of John Calvin, the pastor and the student of Scripture, delivered over consecutive Sunday mornings and afternoons. During the week he preached on the Old Testament. The preacher knows first-hand the trials and disappointments of the pastor, as well as having a thorough knowledge of the Greek text of the Apostle’s letter, having earlier written and published a commentary on it (1548). Robert White has provided a fresh translation of the sermons from the original French. The first item provided is Calvin’s precis of the apostolic letter. Calvin’s sermons show the reformer’s high view of Christian ministry. Pastors must be lawfully called and must be faithful in their duty of teaching God’s truth. Calvin is also realistic about the difficulties faced by pastors and preachers. Ministry is a battlefield, and the weapons needed for victory faith (i.e. true doctrine) and a clear conscience (i.e. faithful living). For Calvin, being a pastor is a high calling, requiring great gifts and involving much hard work and facing many difficulties. Calvin attributes false teaching to pride and speculation, two characteristics of so much modern scholarship (so-called). The problem is that humans think they know better than God or can work out things that God has not chosen to reveal. As he says, ‘Arrogance is the mother of all heresies’. Likewise, it is pride rather than humility that causes humans to devise devotional practices not commanded in the Bible, and Calvin is thinking of things such as abstaining from eating meat on Fridays or forbidding clergy to marry. Calvin himself is no speculative theologian and warns his hearers that ‘by wanting to know everything about God, we enter into a measureless abyss’. Christ reveals all we need to know and through him we know God personally. This corrects the stereotype of Calvin as a theological system-builder. At all times, he is simply seeking to explain and apply the plain teachings of Scripture. It is this that makes his teaching of enduring value to the church. Rather than discarding the Old Testament law, Calvin finds the Gospel proclaimed in its pages (e.g. the sacrificial system of Israel), and he declares, ‘The Gospel does not teach anything which is contrary to the law’. Calvin’s preaching is at times quite feisty, such that it is plain that at the time he had many opponents to his ministry among powerful Genevan families and in the City Council. Calvin shows that the example of Paul (a former persecutor of Christians) is an encouragement for us to be honest about our faults and not to think that we are better than our neighbours. He insists that the roles of rulers and magistrates are proper Christian callings, rejecting the hyper-spiritual anarchy of the Anabaptists and radicals of his day. Calvin explains that God’s desire that all be saved (and our obligations to tell all) is not inconsistent with the doctrine of election. Paul’s call that we pray for all people leads Calvin to urge mission to the whole world. In terms of the qualifications of those in ministry positions, Calvin understands ‘a husband of one wife’ to ban polygamy, and ministers must be exemplary and practise what they preach to others. Calvin stresses that Paul’s instructions to pastors to apply to all believers, for pastors are setting an example to all. In preaching on 1 Timothy 3:16, Calvin provides a masterful explanation of the two natures of Christ, God and man, showing the necessity of both for the work of salvation. His doctrine of the Lord’s Supper is summed up in these words, ‘we rise to Heaven by faith to be united without Lord Jesus Christ’. This explains how he can have fellowship with Christ when Christ is in Heaven. 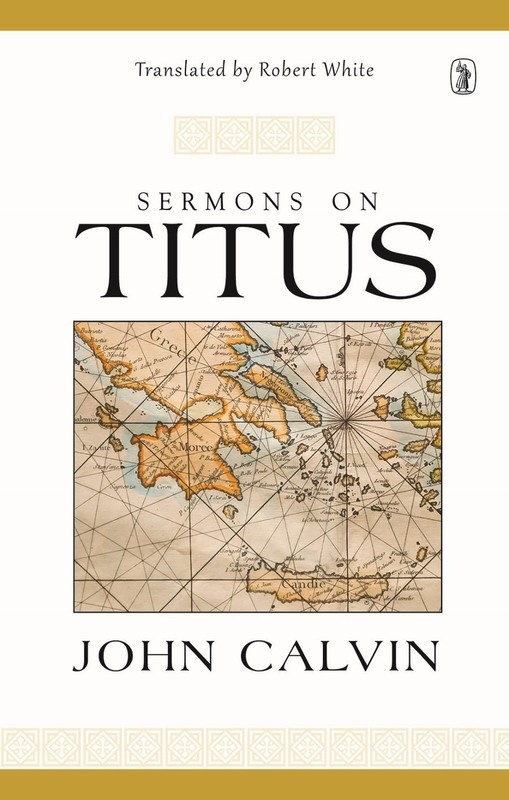 These sermons by Calvin are uniformly insightful and helpful, full of Scriptural truth and thoughtful practical application. They show what preaching at its best has always been: grounded on the Word of God, full of compelling logic, pastorally sensitive, fearless, and always aiming to honour God in Christ. This review first appeared in the June 2018 edition of the New Life magazine. 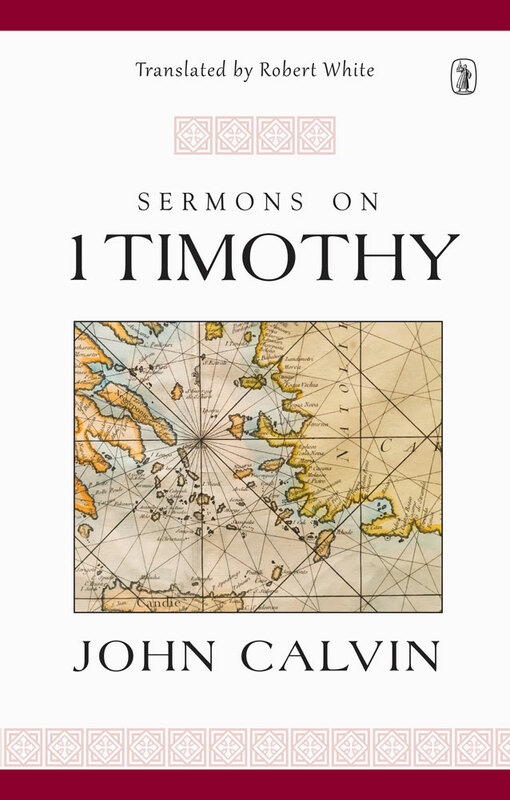 A further volume of Calvin’s Sermons on 2 Timothy is forthcoming.